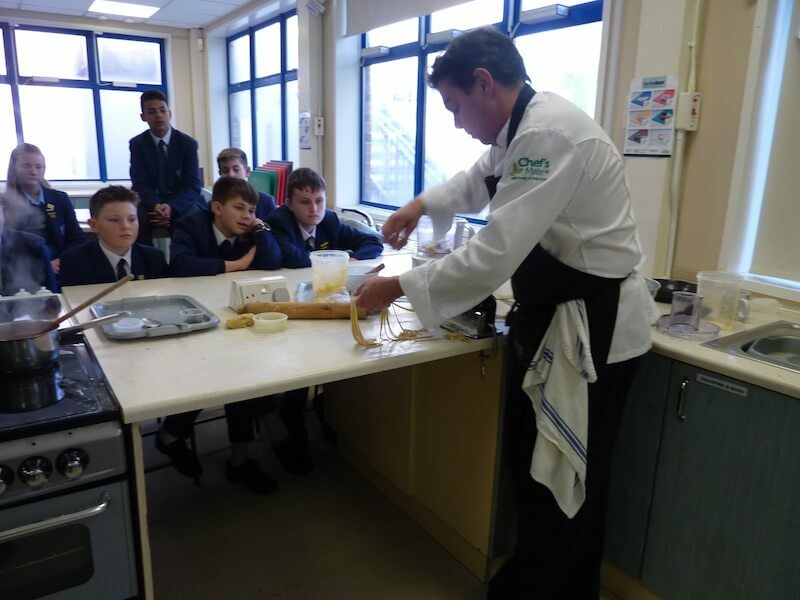 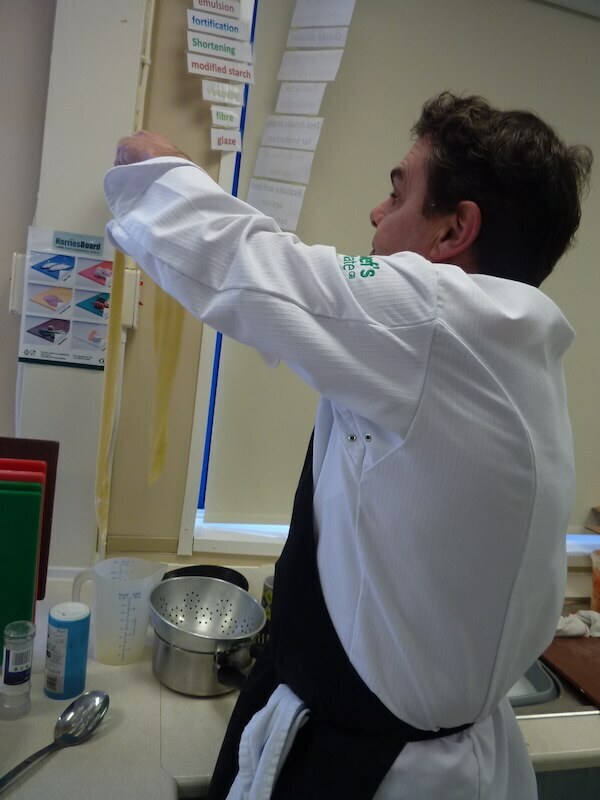 Local chef Colin Nash from the Three Tuns at Bransgore introduced pasta making skills to the year 9 students at Twynham school last week. 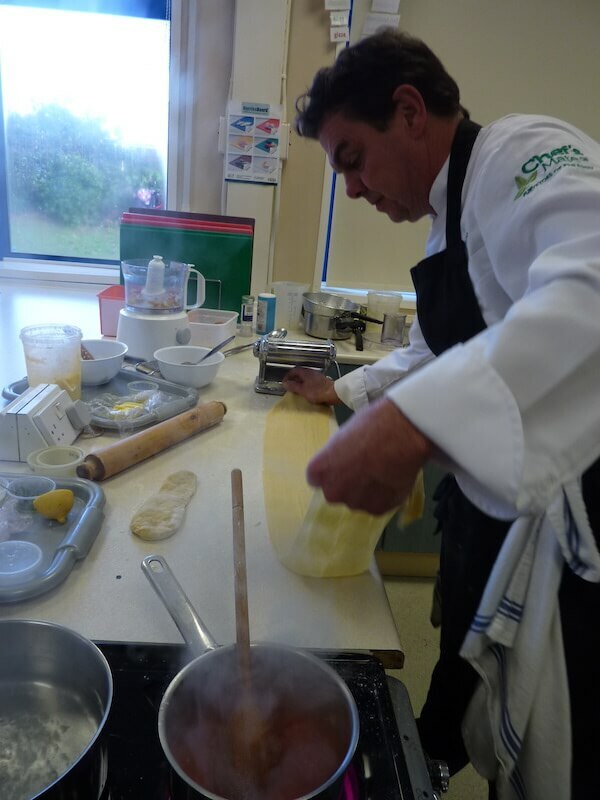 He created some delicious recipes Crayfish and salmon ravioli and Tagliatelle with a tomato and lemon sauce. 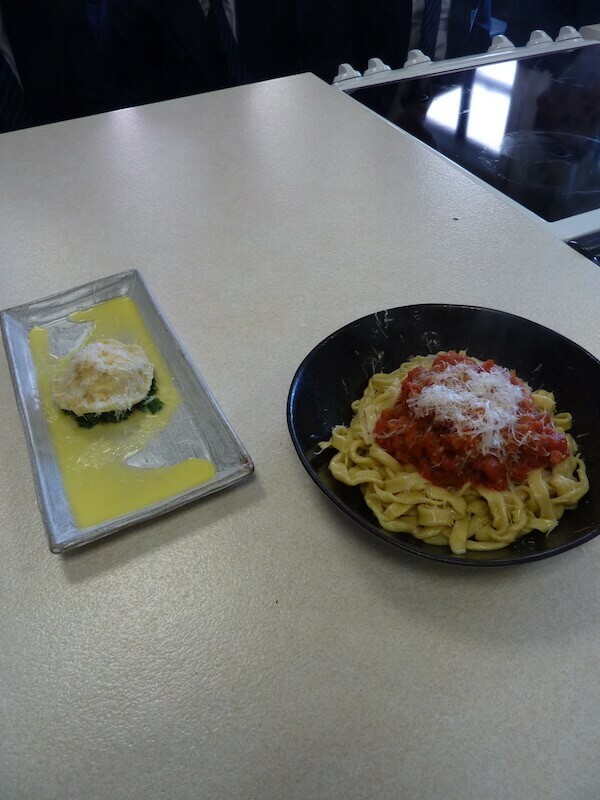 This is part of the Enhanced cookery course for all year 9’s.